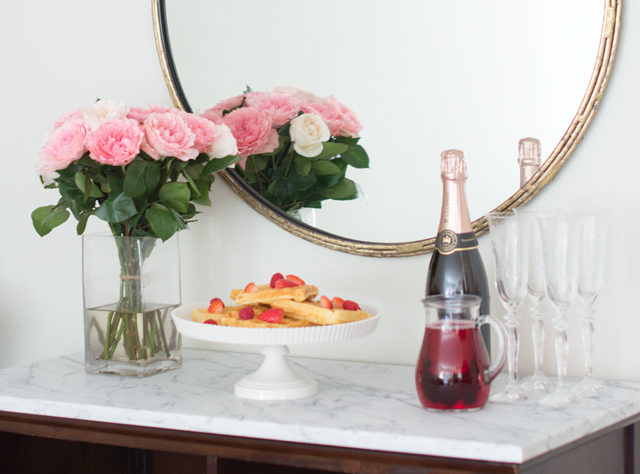 Valentine’s day is this week and because it falls on a Sunday this year, it’s the perfect time to host a Valentine’s themed brunch. 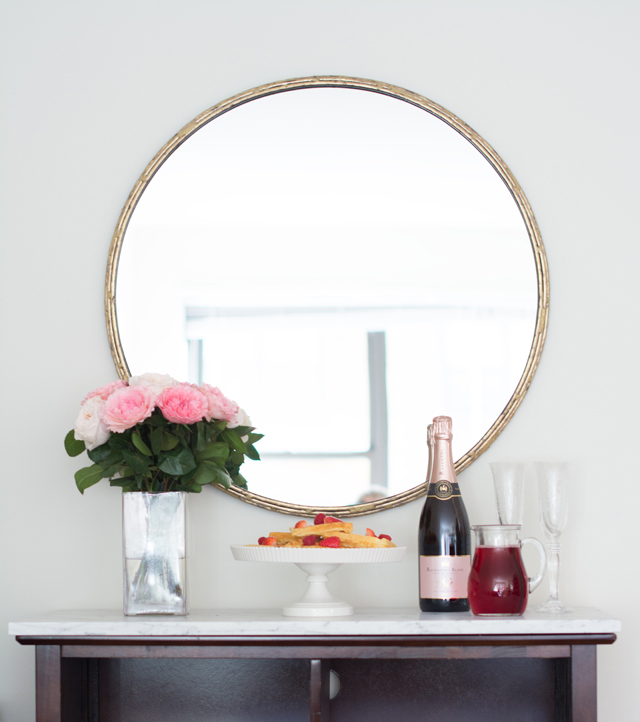 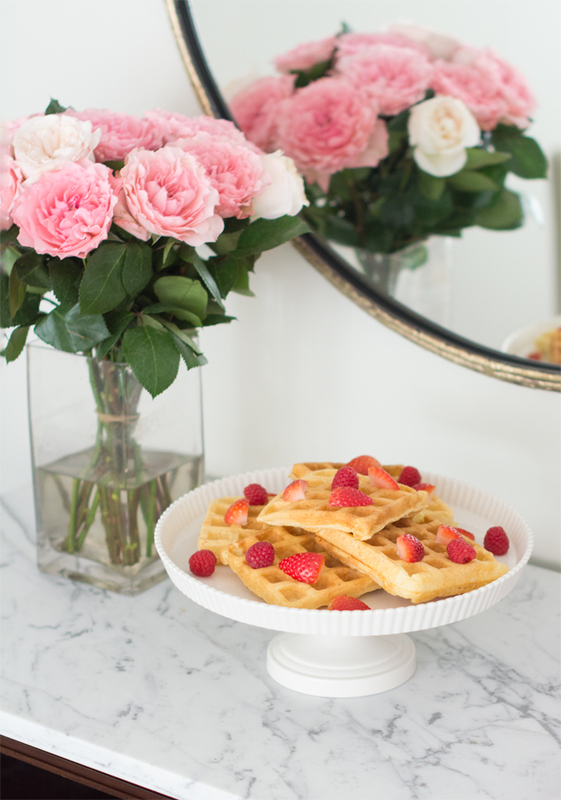 The key to this brunch is to bring in lots of pink and red where possible to make the whole brunch feel festive. 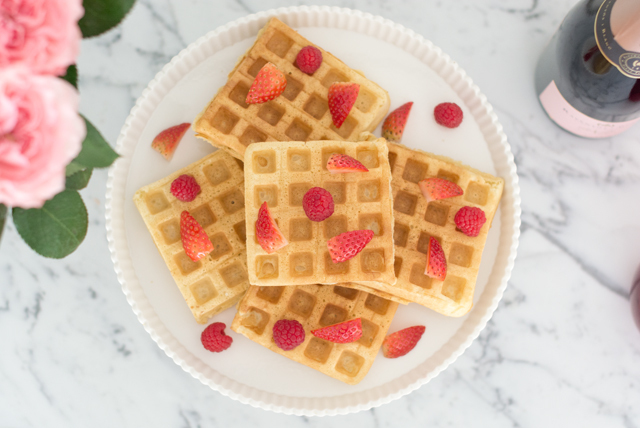 I started with my favorite waffle recipe and topped them with fresh strawberries and raspberries for the main dish. 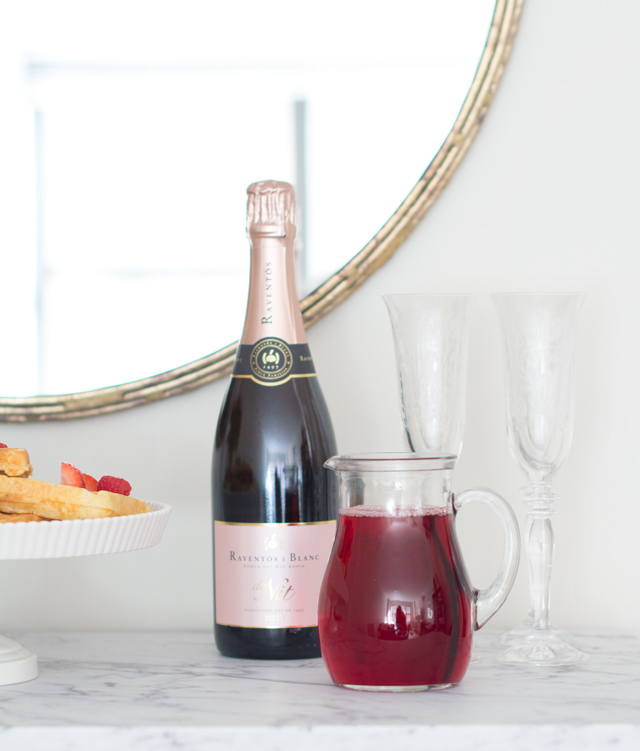 Then for drinks, I decided to do a twist on the classic mimosa to fit with the theme, so I paired champagne with cranberry juice (blood orange juice would also be great to use). 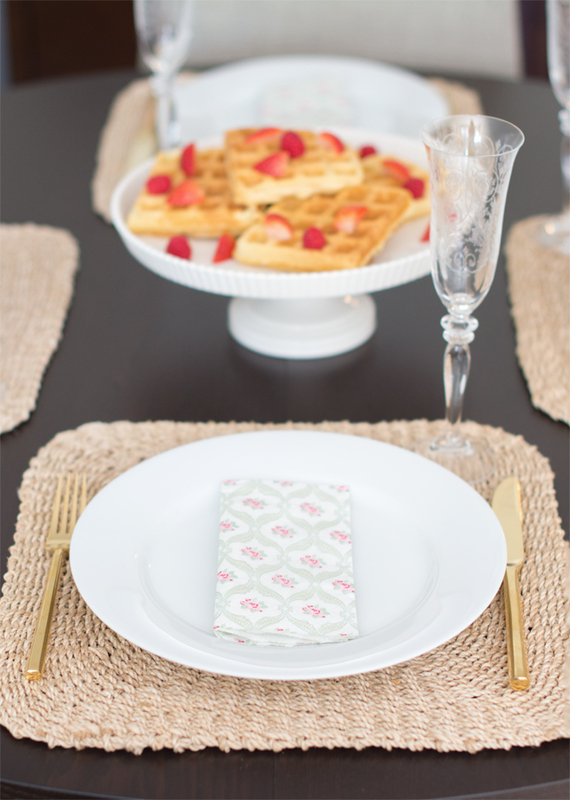 For the decor, I kept things simple and brought in lots of pink with these gorgeous garden roses and finished things off with some cute pink napkins as part of the table setting.